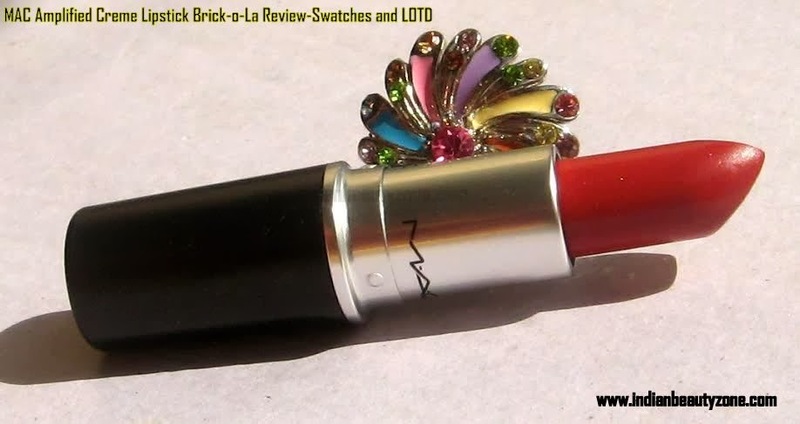 What Mac claims:- Colour plus texture for the lips. Stands out on the runway. Simmers on the street! What made M·A·C famous. Mac describes the shade as “mid-tone berry”. The shade is really pretty and this shade is so versatile that it will suit from fair to dusky skin beauties. I think it is just a perfect berry shade. 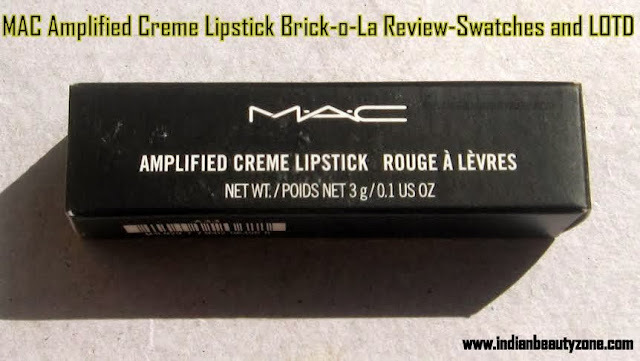 Mac amplified crème lipstick Brick- o-la belongs from the Mac permanent range so it is easy to grab. 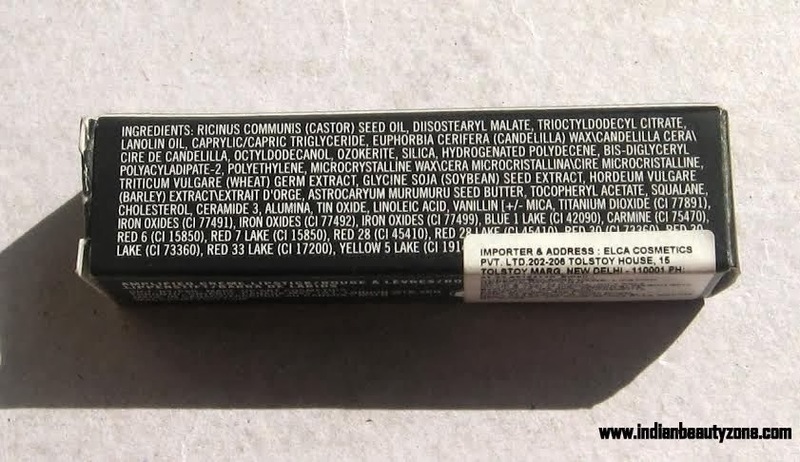 The packaging of the lipstick is the usual black bullet with the vanilla smell in the lipstick. The name of the lipstick “crème amplified” itself describes the texture of the lipstick. 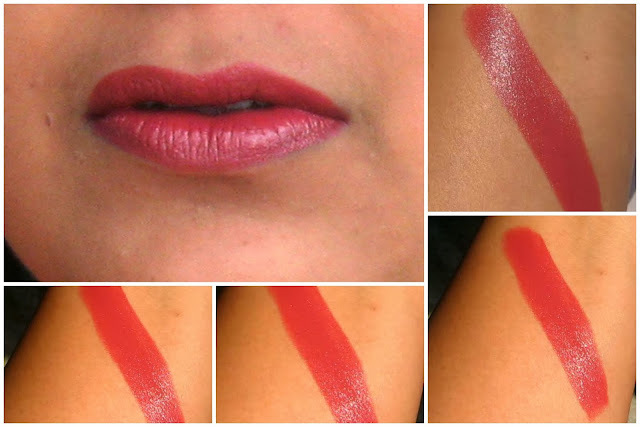 It is so smooth that it glides without any tug or pull on dry lips too. The lipstick helps to retain total moisture. 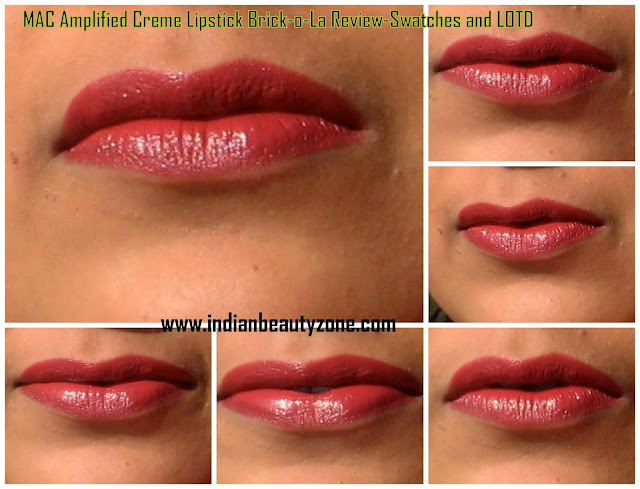 The pigmentation of the lipstick being crème in texture no doubt is just awesome. 1 swipe is enough to give the actual shade but it is my habit to swipe the lipstick twice to get my desired shade. I am a matte lover but I found this lipstick is just ideal for winters as matte range from mac became more drying during winter, while this amplified bleed a little during summer but just perfect in winters. The lipstick although moistens your lips but exfoliation of lips prior to application of the lipstick is advised else it will tend to cling in dry lips. The lipstick stays pretty 4 hours on lips without any meal. After meal it fades a bit still I am just okay with it. 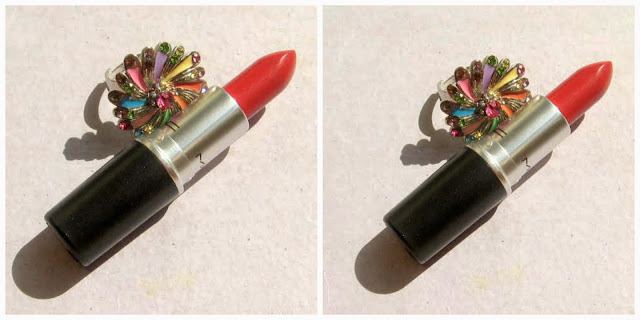 I short I think in winters everything when seems to dry this amplified lipstick enhance your lips to a nice soft one. Now coming to the good and bad points. • The lipstick belongs to permanent range so easy to grab. • It is versatile shade will suit all. • It is very much Pigmented. • It is Cream in texture so keep moistens your lips. • Staying power is approx 4 hours without fading. • Vanilla scent of the lipstick. • Availability might be issue as it is always out of stock in my city. • Cling to dry lips if not properly exfoliate prior to application of lipstick. 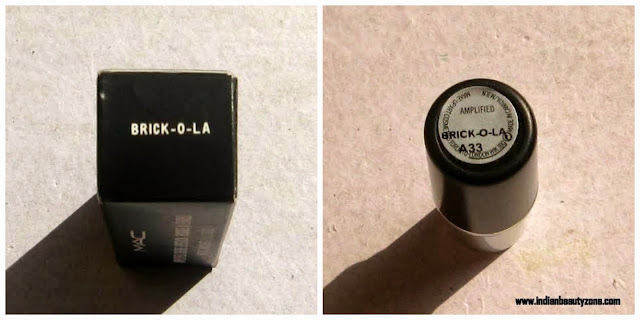 My Ratings: - 4/5 no, I am not biased…I am just rating it as a perfect lipstick of winter. Definitely if you are looking for some cream lipsticks then do try this shade I can bet once you try you won’t regret even buying it. Do you like my review? If yes then don’t forget to show your love by commenting below Stay hot in this winter!